"Granite House Rocks!! I never seen a company work as hard as these guys. They spent hours with me picking the right granite stone for my kitchen and went as far as even taking me to the back and literally showing me all their pieces and allowing me to pick the ones I liked the most! They were the most affordable guys out there; I had searched many granite places around and no one could beat them. When I placed my order they had it ready in less than 3 days! Every person that comes to my house asks me who did my granite in the kitchen as they had the nicest pieces, installation was great, and the way they matched the different sections of my kitchen shows that these guys know what their doing!! I highly recommend them to anyone looking not only for great prices but great workmanship!! I will be using them again in the future!" "I went with Granite house because they have the most affordable prices and they have the best customer service. They did an amazing job for my kitchen it made look way better and when my family and friends come to visit they are amazed of what they see so i would highly recommend granite house for the people that are looking to do granite for their houses. i want to thank the granite house company for the great job that they have done for me i really appreciate it." "I had a very aggressive schedule to have the counter installed for a party. Granite House made sure the install was done before the party as soon as I explained my deadline. They were professional and clean. They made sure everything was done and to my satisfaction. Everyone comments on nice the counter looks." 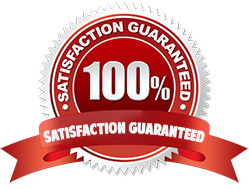 "Highly Recommended Excellent Service. This is the best company out there thats not just it they have the best prices that i couldnt find anywhere i went but by granite house. Im so happy with the job you guys did for us. Everyone comes over my house they all sayy wow and just like stair at it you guys do great job and the installers were really helpful and when they left my house everything was so clean it was spot less its like they werent even there hahaha and you guys did my cousins kitchen to and hes sooo happy with it and hes telling everyone a bout you guys of whata grate job you guys did for him and i just wanna thank you guys so much and i Highly Recommended Excellent Service out there."